There are good ways and bad ways to remove a tick. The worst is using your fingers; don't do that unless you're stranded on a deserted island. 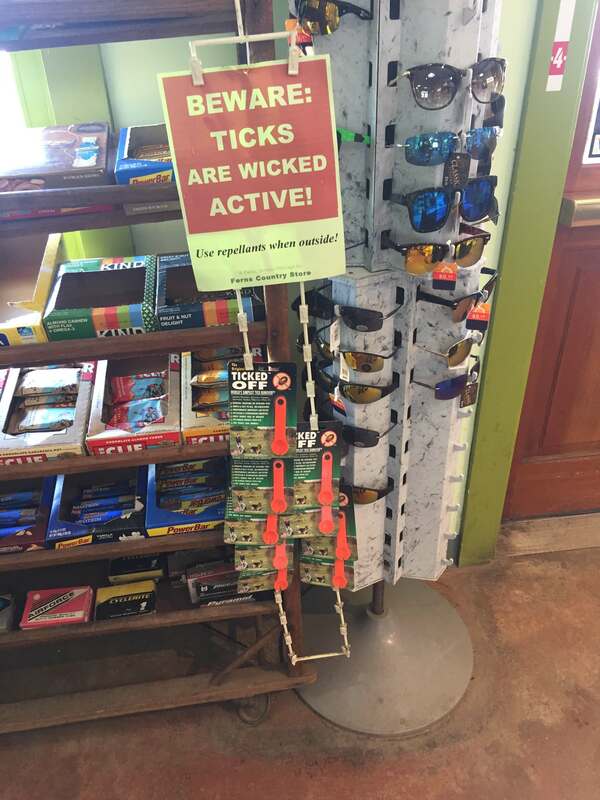 We have serious tick problems where I live...which is obviously Massachusetts. 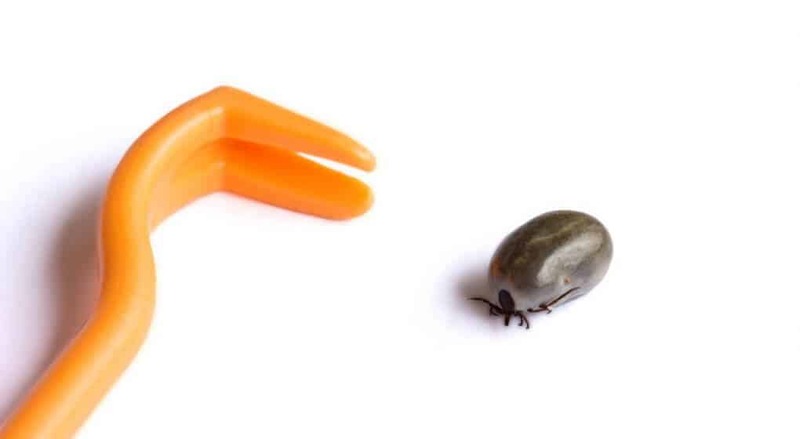 The experts at the CDC say that the best way to remove a tick is to pull it straight out as soon as you find it, using a fine-tipped instrument. Don't mess around trying to get it to back out, don't leave any mouth parts in the wound, and NEVER squeeze the tick's body while it's attached. That's like injecting yourself with Lyme disease. ​I'll start off by saying that these are all highly-rated tools. They are all capable of doing the job and every one of them has raving fans that swear they'll never use anything else. They are also all very affordable and often come in multi-packs. However, there are differences in form and function that may matter to you. Those are the differences we've focused on here. All of these devices work for people and pets. Some of them are more commonly used for pets or have one end for people and one end for pets. I would personally use separate tick removal tools for my dog or cat. Some users cite this as necessary because some tools are easier to use on dogs than others. This is because many dogs can't sit still while you remove the tick. There are a couple general types of removal tools and a couple of unusual devices. Most of these tools are either some form of tweezer or have a V-shaped slot that grabs the tick, or both. Ticked Off is a very simple device and it’s the one I most commonly see in stores. It looks like a measuring spoon with a V cut in it so you can grab a tick by the head and use the bottom of the spoon as a fulcrum to pull the tick out. This tool comes in multiple colors but some people have complained about the darker colors because that makes it harder to see the tick. I really don’t know why they make tick tools in colors other than white. The Tick Tornado is one of the two devices here that is intended to be twisted. 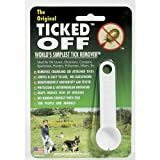 The usual advice is to pull ticks straight out, but loads of people use these twisting devices and love them, in fact the best-selling tool for pets on Amazon is of this type. It has a slot that lies flat against the skin and you put the tick in the slot and twist it several times to remove the tick. This type of tool is particularly popular for use on dogs. The Tick Twister is the best-selling dog tick removal tool on Amazon. It looks and functions very similar to the Tick Tornado but lacks the scoop to catch the removed tick. Each package comes with two sizes of the tool, one for small ticks and one for large ticks. As with all the “twisting” tools, you’re better off just prying the tick off than actually twisting it and the shape of the tool makes that easy to do. The same V-slot idea applied to a metal tag. These come in a 3-pack so you can attach them to a pet’s collar or otherwise keep them wherever they are handy. They come in a multi-color pack and again, some people complain about the darker colors. They can even come in black, which is a dumb color for a tick removal tool. Generally speaking though, there are very few complaints about this tool. There are many good pairs of tweezers on the market that all fit the bill here. However, there are some tweezers that are designed for tick removal. This one looks like something McGyver would have cobbled together. It’s a pair of tweezers fitted with an LED light and a magnifying glass. A lot of people report problems with the LED light not lasting long. The Mighty Bright is a better-looking (but who cares?) tool with all the same features and fewer reported problems with the light, although the magnifier is slightly less powerful. 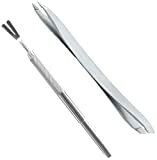 This tool contains both the features of tweezers and the V-slot scoop. It’s made of stainless steel and can grab any size tick regardless of where it is located on the body. This set contains 3 distinct metal tools, the V-slot tool plus a double sided set of tweezers. Compared to the other tick removal tools above, this set is very sturdy in its construction and is often described as a “professional grade” set of tick removers. Functioning a bit like a nail clipper or pair of scissors, this tool grabs ticks close to the skin and squeezes them in a scoop for removal. It comes in a 2-pack at a very affordable price and is a well-loved tool that many people swear by. This is an unusual device that functions like a retractable pen with a tiny lasso on the end. 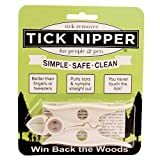 Seems like a bit of a pain but it works well to grab ticks both large and small on any area of the body and holds them until you release the tool to dispose of the tick. Pretty clever. This is just the tip of the iceberg when it comes to Lyme disease info on our site. See our Lyme disease topic page for more.